The management has always been striving to achieve excellence in not only academics but also in developing all round personality of children. 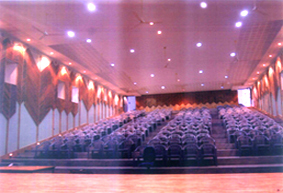 For a long time the need to have state of art auditorium was felt by the people at the helm of affairs. At last we have been able to translate the dream into reality. We have dedicated this V. M. Patel Centre for Excellence in Education at Alkapuri to children at large. Education does remain incomplete, lopsided unless creativity of children gets ample expression.The most cherished memory of student life is probably the applause they received when they danced / acted / debated on the stage facing the audience of parents, teachers, fellow students and fellow citizens. At last we have been able to translate the dream into reality. We have dedicated this V. M. Patel Centre for Excellence in Education at Alkapuri to children at large. Education does remain incomplete, lopsided unless creativity of children gets ample expression. 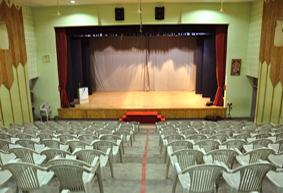 The most cherished memory of student life is probably the applause they received when they danced / acted / debated on the stage facing the audience of parents, teachers, fellow students and fellow citizens.